Years of research and untold costs of development are wasted when a drug is withdrawn from the market. Pharmaceutical companies go to great lengths to prevent such loss, carrying out exhaustive studies from the preclinical phase through late-stage clinical trials to identify problems and eliminate them early. Toxicity is one of the most significant problems leading to drug withdrawal, and in spite of comprehensive tox testing of drugs before approval, there are still a significant number that must be discontinued or withdrawn for reasons of toxicity. Animal studies have been a mainstay of drug industry toxicology screening for many decades. However, there are significant weaknesses and loopholes to animal models. Cell-based screening is poised to fill in the gaps, and, eventually, potentially replace animal models as the go-to screening tool. There is intense development focus, therefore, on improving and fine-tuning cell-based assays in order to give the most accurate and representative results possible, as early as possible in the drug-development process. Cell-based assays currently represent 50% of high-throughput screening activity at major pharmaceutical companies, and this figure is expected to grow another 15% by 2015. In July, scientists met at Visiongain’s “Cell Based Assays” conference to discuss new techniques and future development opportunities in cell-based assays. In 2012, the key trends involving these assays include stem cells, induced pluripotent stem cells, and startlingly accurate models of human organs and disease. Kinases are a popular, well-validated target in drug discovery. However, most cell-based kinase assay platforms have limitations in the types of kinases and phosphorylation events that can be studied. 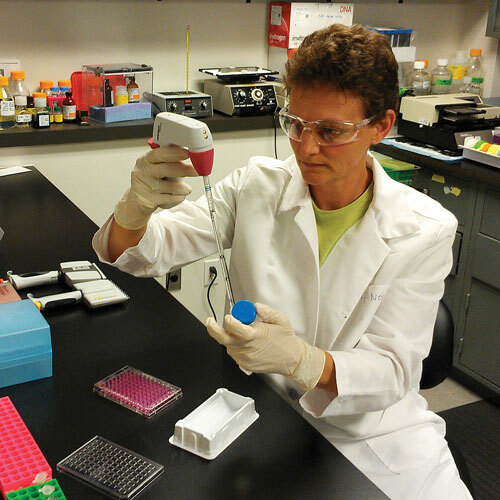 Deborah Moshinsky, Ph.D., president of Cell Assay Innovations, described her company’s platform. According to Dr. Moshinsky, ClariCELL™ can look at direct kinase substrate phosphorylation events, and picks up serine and threonine kinases as well as tyrosine kinases. Tyrosine kinases represent only about 20% of the kinase space. Tyrosine kinases traditionally have been technically easier to assay because they autophosphorylate. The ClariCELL platform has been designed so that full-length kinases and their particular protein substrates are overexpressed in human cells. That combination opens the system up to serine and threonine kinases, thus providing the ability not only to screen drugs for kinase activity, but it can reveal details on drug mechanisms at the lead-optimization stage, or even in primary target screening. Cell Assay Innovations offers a screening service for Pim1, Pim2, and Pim3 kinases, with other assays available. The company is preparing to enter the personalized medicine field by focusing on drug-resistant mutant kinases. For example, in cancer research, drug resistance is a major problem. Gleevec, the first kinase inhibitor on the market, was very effective at first for treating blood cancers. But over the years people became resistant to the drug. That kind of resistance is often due to tumor cells that develop mutations. “All of the kinase inhibitors on the market have this issue of drug resistance,” Dr. Moshinsky explained. With the ClariCELL system, researchers can combine wild-type kinase and resistant mutant kinases in the same multiplexed assay, to screen any number of compounds for inhibition of wild-type and resistant mutant together. Cell Assay Innovations reports that screening data interpretation can be simplified with its ClariCELL kinase cell-based assay testing service. Over 900 drugs have been reported to cause liver injury, and hepatotoxicity is second only to cardiotoxicity as a cause of drug withdrawal from clinical trials or the market. Use of in vitro human liver cell cultures may be helpful in detecting drugs associated with hepatic adverse drug reactions in preclinical development. Unfortunately, current model systems such as human primary hepatocyte monocultures and sandwich cultures lose functionality within a few days. 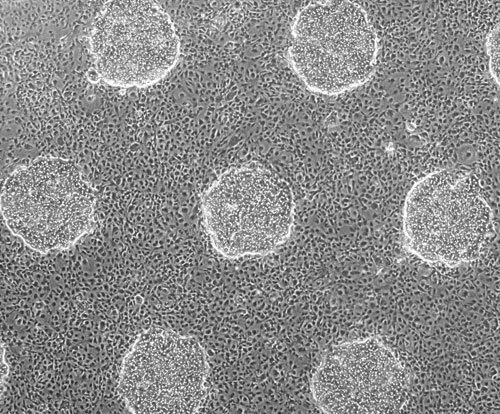 Improved, long-lasting hepatocyte cultures could revolutionize toxicity testing. Okey Ukairo, Ph.D., senior principal scientist, ADME/Tox services, at Hepregen, discussed his company’s work with a novel hepatocyte co-culture system for drug-toxicity testing. “Published reports show a higher incidence of drug attrition due to hepatotoxicity in early and late clinical drug development. What this tells me, and many people agree, is that the current models for liver toxicity testing during preclinical development are inadequate,” he said. Conventional in vitro liver model systems (e.g., sandwich cultures of human hepatocytes) are limited in their ability to maintain hepatocyte functionality over an extended period of time. Even animal models such as rat, monkey, and dog often do not accurately translate to what is observed in humans. Hepregen has developed a micropatterned hepatocyte co-culture platform (HepatoPac) for studying drug metabolism and toxicities. “Human hepatocytes in the HepatoPac platform retain their in vivo-like morphology and retain sustained hepatic functions for three to four weeks in vitro,” explained Dr. Ukairo. Utilizing HepatoPac, toxicity screening, mechanistic toxicology, and identification of drug metabolites can all be performed in vitro with increased confidence of the clinically relevant predictive value, he added. In one particular collaboration with pharmaceutical scientists, Hepregen compared its human hepatocyte co-culture platform with a sandwich system using commercially available compounds such as clozapine, isoniazid, nifidipine, and acetazolamide, whose toxicity profiles are well-characterized. “In that study, Hepregen was able to accurately predict over 70 percent of the drugs that cause liver toxicity,” explained Dr. Ukairo. Beyond safety screening, the platform has the potential to be applied broadly in the drug discovery process for target validation, disease model creation and biomarker discovery, continued Dr. Ukairo, who pointed out that there is also potential to utilize stem-cell-derived hepatocytes in the system. The stem cell division of Cellectis is working with human pluripotent stem cells to create a cardiomyocyte platform for drug-discovery screening, said Peter Sartipy, Ph.D., senior principal scientist. The process of creating induced pluripotent stem (iPS) cells involves reprogramming an adult cell to behave like an embryonic stem cell. Embryonic stem cells have the ability to differentiate into any type of cell, but they lose that ability as they mature. It has been discovered only recently that it is possible to return an adult cell to a state of pluripotency resembling an embryonic cell. The trick, as described by scientists from Kyoto University in 2006, is to get the adult cell to express four genes that are not normally expressed in adult cells. Cardiomyocytes are an ideal focus for iPS cell development, because it is very difficult to isolate them from primary human tissue. According to Dr. Sartipy, controlling the culture conditions in order to activate or block specific pathways at specific time points is the key to going from undifferentiated cells to early mesoderm cells, then to cardiac mesoderm, to cardiac precursors, and finally to fully differentiated cardiomyocytes. Small molecule growth factors are used at different stages of the process. Cellectis compared the iPS cardiomyocytes to the current gold standard for safety pharmacology testing—the ex vivo rabbit model—as well as the dog model. “The stem-cell-derived cardiomyocytes are giving representative results in nice correlation to the in vivo models,” said Dr. Sartipy, noting that the iPS cardiomyocyte system has the potential to replace or reduce the use of those animal models for testing of new compounds in development. Cellectis has further preliminary data showing how the cells can be used to test drugs in a model of cardiac hypertrophy. Dr. Sartipy explained that scale up was a challenge that Cellectis successfully overcame. Going forward, Cellectis will strive to create cells that fully resemble the adult phenotype in every way. “The state of the art in this area is that you can produce cardiomyocytes with good functionality, but it is still not completely identical to what you see in vivo in humans,” said Dr. Sartipy. Cardiomyocytes have also been the focus of development at GE Healthcare, whose scientists have been exploring the use of the cells in drug discovery, drug development, and toxicology applications. Robert Graves, Ph.D., senior applications scientist, described toxicology testing of the company’s embryonic stem cell-derived cardiomyocytes. Cardiomyocytes derived from human embryonic cells would be accurately predictive, as well as being a renewable resource producing a consistent supply of cells that can be used across a range of platforms, he contended. Cardiotoxicity occurs through a number of mechanisms that interfere with heart function, such as blocking the electrophysiology, or the contractility, of the heart. Drugs can also be toxic to the mitochondria, which the heart requires in large quantities to supply its energy needs. GE’s system makes use of high-content analysis through imaging. For example, changes in the size and shape of the mitochondria can indicate toxicity affecting these organelles. Four-color imaging assays extract as many as 20 parameters from the assays. The process yields the same kind of toxicity data as a conventional assay, but it also has the potential to indicate the mechanism of toxicity. In a collaborative study with Genentech, GE used its cardiomyocytes in conjunction with high-content analysis to look at specific sets of compounds. Data from the first set of 26 showed excellent correlation between assay and historical data, said Dr. Graves. In a blinded analysis, GE scientists graded the compounds according to the assay parameters collected. Compounds recorded in the literature as having cardiotoxicity were in a group scored with the highest toxicity classification.